Dallas/Ft. Worth, TX—What is true worship? It can elevate us into the presence of God, renew and refresh our spirits, and offer the deepest expression of love for our Savior. Yet worship can also be a call to arms, a battle cry, a salvo in an ancient spiritual war that continues today. 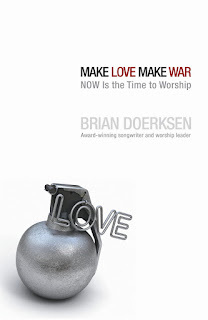 In his first book, Make Love, Make War: Now Is the Time to Worship (David C Cook, August 2009), award-winning songwriter Brian Doerksen challenges Christians to make their lives an offering of radical worship.